API 5L X42 PSL1 Pipe is a steel pipe and is commonly used for pipeline transportation systems in the petroleum and natural gas industries. API 5L is suitable for oil and gas transmission, structural application, and mechanical components. 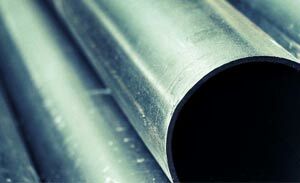 Trio Steel is a leading stockist, supplier and exporter of API 5L X42 PSL1 Pipe. 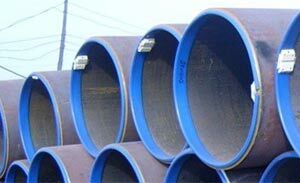 All API 5L pipe are individually covered so that the premium quality of material is retained and there are no damages in the last stages of production. API 5L comes with imprints relevant to the job information (for example heat number, size, material and part number). This information is also printed along all to whom API 5L is delivered. Your need for API 5L X42 PSL1 pipe of standard length and diameter pipes and tubing ends here. 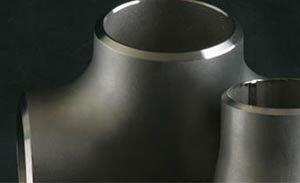 If you need high strength, high tensile, heavy wall line pipe requirements for deep sour wells, drilling, offshore drilling and production, arctic exploration and production, or you need API 5L X42 PSL1 pipe for natural gas, oil or water transport, then Trio Steel can meet the demands of your company. 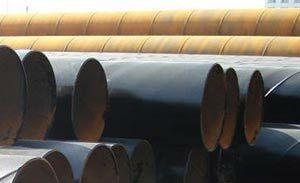 X42 Steel Pipe is a high yield seamless pipe that is modified to suit offshore structural purposes. All dimensions will be supplied with a 3.2 certificate according to EN 10204, endorsed by recognized and independent inspection agency. Marking shall be in SI units (X42) accordance with API requirements & mill standard. API 5L PSL1 Pipes: X46 PSL1 Pipes | X52 PSL1 Pipes | X56 PSL1 Pipes | X60 PSL1 Pipes | API5L X65 PSL1 Pipes | X70 PSL1 Pipes | X80 PSL1 LSAW Steel Pipes | X80 PSL1 Seamless Pipes. API 5L PSL2 Pipes: X42 PSL2 Pipes | X46 PSL2 Pipes | X52 PSL2 Pipes | X56 PSL2 Pipes | X60 PSL2 Pipes | X65 PSL2 Pipes | X70 PSL2 Pipes | X80 PSL2 LSAW Steel Pipes | X80 PSL2 Seamless Pipes | X100 PSL2 Pipes | X120 PSL2 Pipes. API 5L Seamless Pipes: Gr.B PSL1 Seamless Pipe | Gr.B PSL2 Seamless Pipe | X42 PSL1 Seamless Pipes | X42 PSL2 Seamless Pipes | X46 PSL1 Seamless Pipes | X46 PSL2 Seamless Pipes | X52 PSL1 Seamless Pipes | X52 PSL2 Seamless Pipes | X56 PSL1 Seamless Pipes | X56 PSL2 Seamless Pipes | X60 PSL1 Seamless Pipes | X60 PSL2 Seamless Pipes | X65 PSL1 Seamless Pipes | X65 PSL2 Seamless Pipes | API5L X70 PSL1 Seamless Pipes | X70 PSL2 Seamless Pipes | X100 Seamless Pipes | X120 Seamless Pipe. API 5L DSAW Line Pipes: X42 PSL1 DSAW Pipes | X42 PSL2 DSAW Pipes | X46 PSL1 DSAW Pipes | X46 PSL2 DSAW Pipes | X52 PSL1 DSAW Pipes | X52 PSL2 DSAW Pipes | X56 PSL1 DSAW Pipes | X56 PSL2 DSAW Pipes | X60 PSL1 DSAW Pipes | X60 PSL2 DSAW Pipes | X65 PSL1 DSAW Pipes | X65 PSL2 DSAW Pipes | X70 PSL1 DSAW Pipes | X70 PSL2 DSAW Pipes | X80 DSAW Steel Pipes | X80 Seamless Steel Pipes | X100 DSAW Pipes | X120 DSAW Pipe.